The Mele F10 Air Mouse is one of the best solutions to control your android tv. Its price / quality ratio is exepcional finding it for less than 20 euros in almost all stores. If you want to buy a Mele F10 Air Mouse follow the link. In this analysis of the Mele F10 Air Mouse, we will review the strengths and weaknesses that the Mele F10 Air Mouse has compared to its competitors. At follow, you can see the specification table of the Mele F10 Air Mouse. 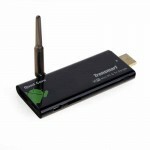 The Mele F10 Air Mouse will solve our problem to control our android tv. The MeLe F10 Air Mouse is one of the best that we can find at a great price compared to other similar models. The Mele F10 Air Mouse comes with a lot of features for you, here we highlight the most important features. 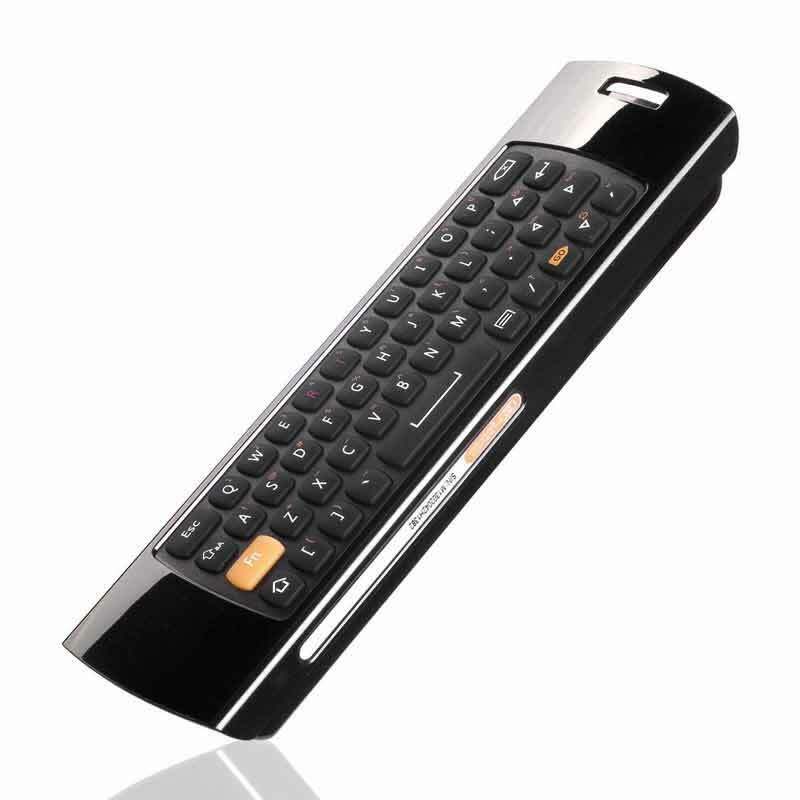 The Mele F10 Air Mouse comes with a QWERTY keyboard to write comfortably anything on our android tv, the keys are rubber but has a pretty good touch, plus the spacing between the keys is enough to not be all all the time aware of which key we are pressing. The Mele F10 Air Mouse has option to use a pointer automatically, you will have to rotate the control and the pointer will become active. 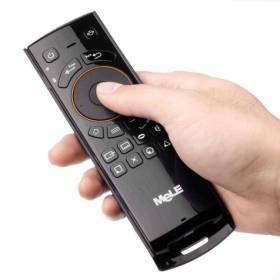 Pointing to your TV and yo will see the Mele F10 Air Mouse pointer to navigate between menus or web pages smoothly. It also has several ergonomically designed keys helping you to control it in a fairly comfortable way. 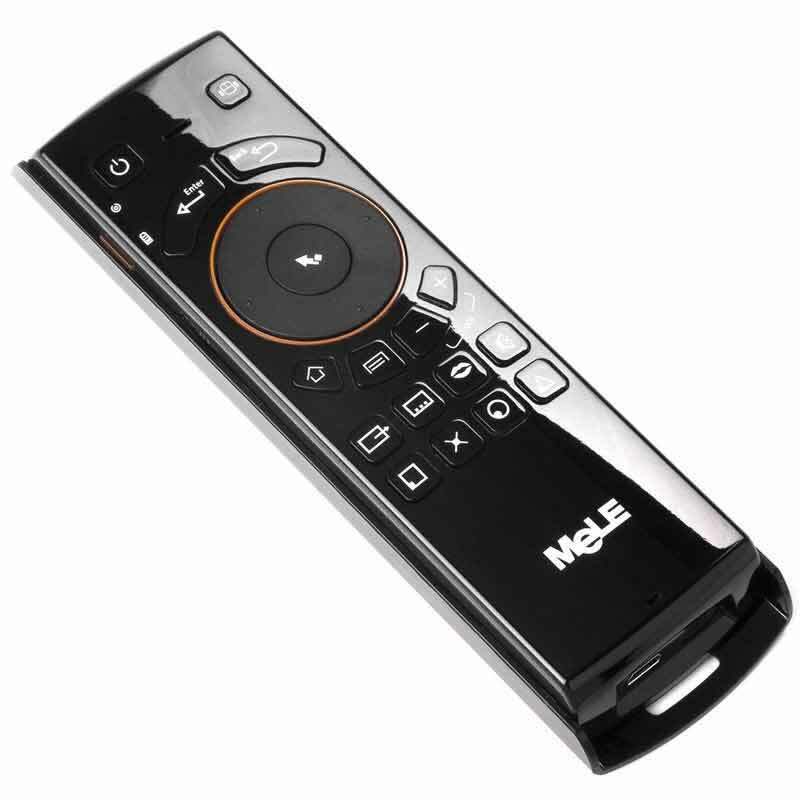 The Mele F10 Air Mouse brings us apart from the mouse and QWERTY keyboard, a typical TV remote, which can control aspects such as sound, pause a video, the typical android back button, etc .. 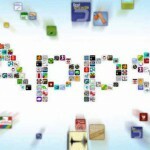 In general these keys help you with the pointer to control your android tv quite effectively. The Mele F10 Air Mouse brings us two ways to connect to our tv android, one is via Wifi using the USB receiver and the other is by infrared. The wireless option works perfectly, just simply plug into a USB port the adapter and then you can use it without any problem. 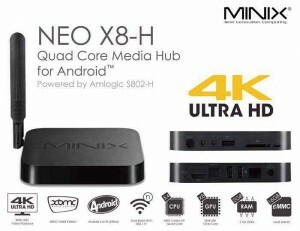 The Infrared is another story, for now, it can only be used with the MeLe android tv brand, but if you have a USB port you will have no trouble using it on any device. What is the Mele F10 Air Mouse ? The Mele F10 Air Mouse is a remote control for all kinds of devices. 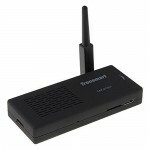 It is compatible with Windows 2000 / XP / Vista / 7, Mac OS, Linux and Android so we can control almost any device. 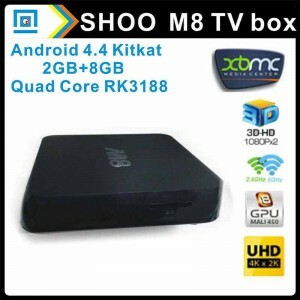 In the case of a tv android is almost vital that we buy a good remote and Mele F10 Air Mouse is one of the best. The Mele F10 Air Mouse is a more than good if you are looking for a remote control for your android tv. The price and quality are amazing and it workd as intended. 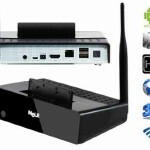 Overall the Mele F10 Air Mouse is a superb product that control our tv android easily for a good price. Where to buy a Mele F10 Air Mouse ? If you can find the Mele F10 Air Mouse at a store near your home better, but the best place to buy a Mele F10 Air Mouse is Amazon. In a few days will be in your house and if anything went wrong with the Mele F10 Air Mouse you can return it without problems.